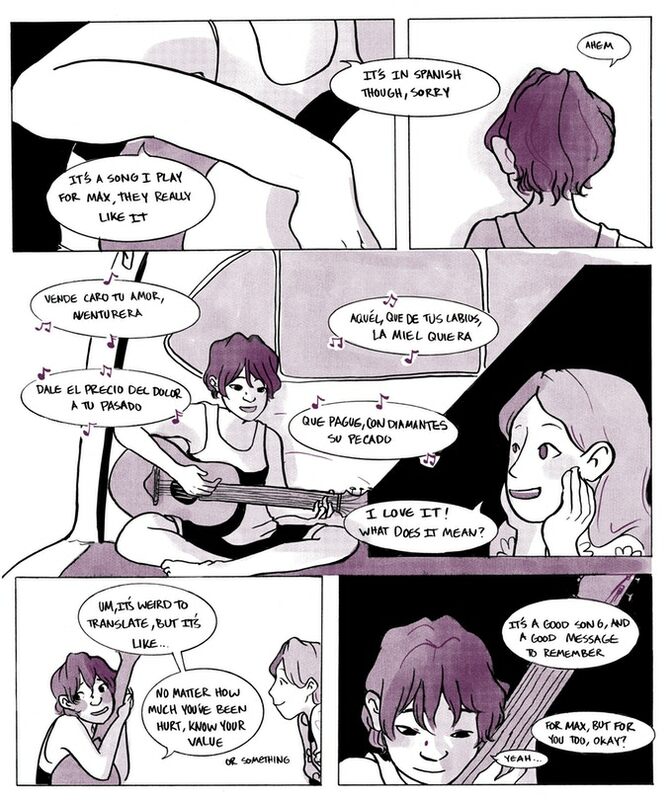 Gabi Mendez has been making short comics and minicomics for a few years now. Her work has appeared in anthologies like The Wicked and The Tired and now Cow House Press has launched a kickstarter to publish her first book, a collection of short comics titled Lemonade Summer. The stories in the book are told in a variety of ways about kids of different ages and backgrounds. 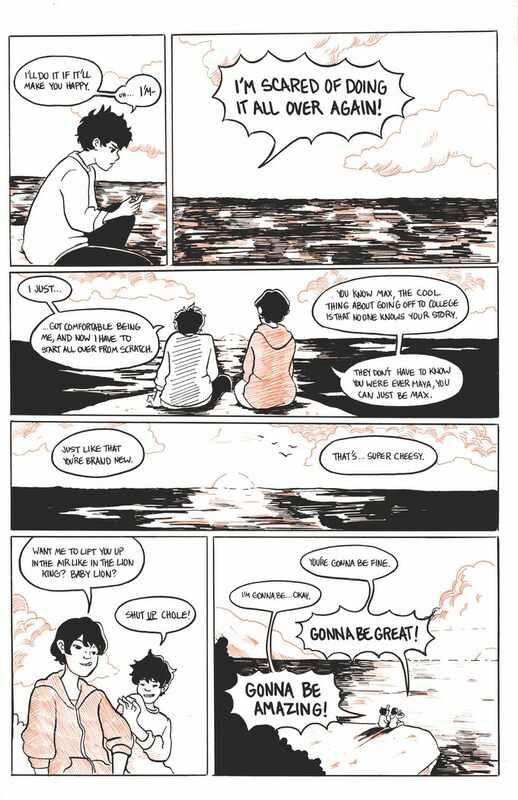 The stories are very different but taken together, are about queer characters coming of age in the sort of nurturing, positive, supportive environments which are so rarely depicted. The result is an all-ages book about pirates and skaters, witches and road trips, about childhood adventures and teenage uncertainty. It’s a powerful debut that is emotionally raw while being sweet, funny, and playful on many levels. Mendez is in graduate school at the Savannah College of Art and Design and I spoke with her after exams to talk about the book. The Kickstarter campaign for the all-ages book runs through April 6 and can be found here. I’ve always been making comics, I think. Back in elementary school it was little hand-stapled hamtaro fan comics I’d give out to friends, in middle school it was very manga-phase love story business, and in high school my friends and I would make characters and I’d draw little slice-of-life comics about them on folded notebook paper, passing them like notes. It was in college that I realized I could actually be doing this professionally! Lemonade Summer is a collection of stories about kids and young adults whose LBGTQ identities are acknowledged but at the same time don’t define them. The stories are primarily about friendship and lifting each other up, which I think is an important message for kids. Growing up is hard, kids already feel like they’re alone or different, and it’s only made more difficult when people around you don’t understand your identity. So these stories show kids an array of worlds where their identities are accepted, and they can see themselves in lead roles. I know that “Witching Hour” was published in The Wicked and The Tired anthology, have the comics been published in different places? Are some new for the book? 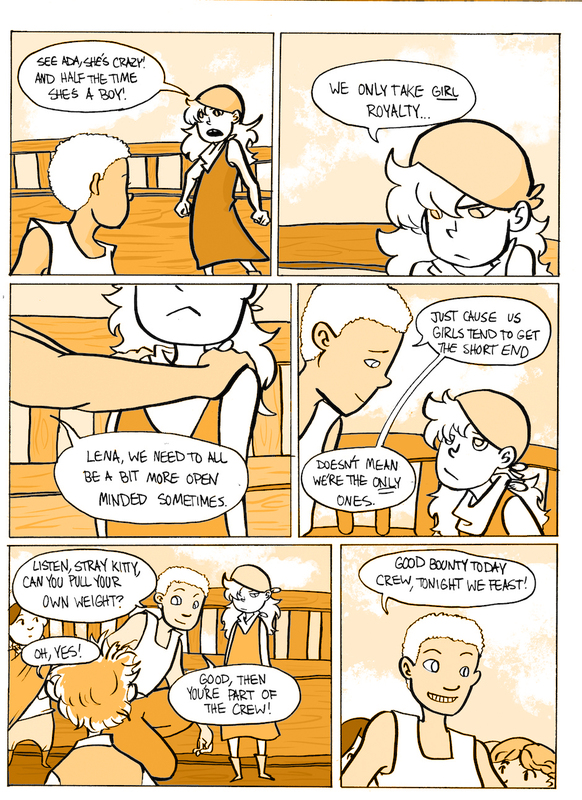 “Strays” and “Treasure Hunting” were both originally mini comics that I self-published. I still bring them around to shows. 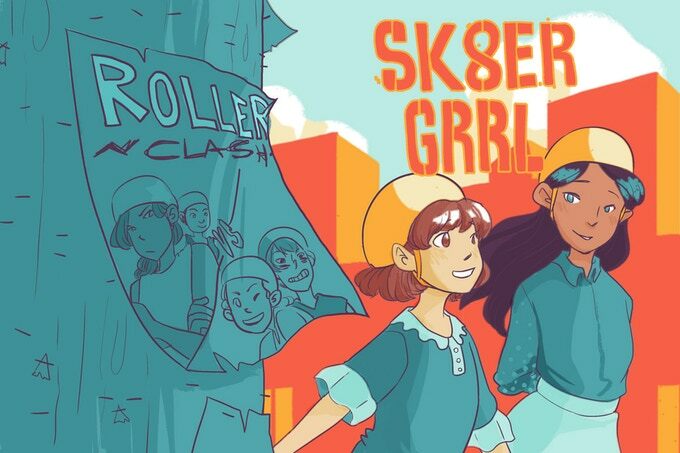 “Sk8r Grrl” started as a submission to SAIC’s comics magazine, Xerox Candybar. “Ro & Ella” was a story I’ve held onto for a long while, but it was really too short to do anything with. I love those characters, so I’m really glad it’s getting a life in this collection. The last two stories are brand new, just for this book! Were you interested when you started working on these stories in working in different styles and using different approaches for them? For some of the stories, the stylistic choices were very deliberate. Like with “Sk8r Grrl,” I really wanted to go for that over the top, flowery, cutesy shojo manga style. I knew I wanted to do “Witching Hour” in dip pen because I felt the tone matched with thin sketchy lines. For the other stories, it was a matter of the materials I worked with best or had an opportunity to try. This is so hard! I have so much fun making these stories, getting attached to the characters, it’s hard to pick a favorite. 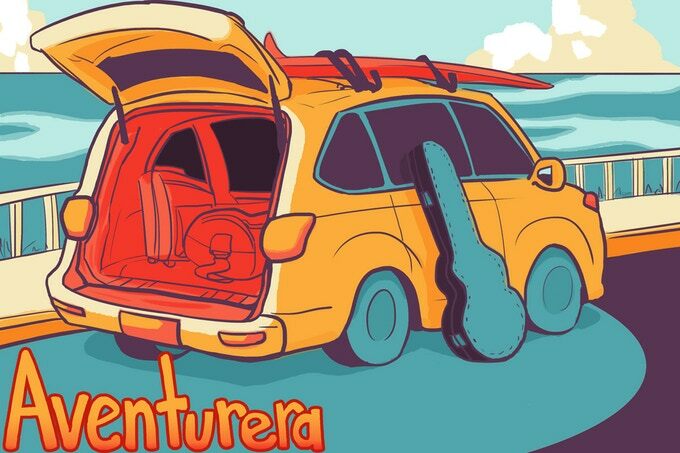 I think I connect best with “Aventurera” though. I’ve drawn from different experiences for the other stories, but this was the first one based on my identities. Like myself, the main character Chole is Latina, bisexual, loves her sibling while being stressed out by them, and has a nickname almost no one pronounces right (for reference, “Cho-leh” and “Gah-bee”). I think we’d have a lot to talk about. How did you end up at Cow House Press? Sheika, the wonderful ringleader of all things Cow House, and I went to college together. We ran in the same circles and I always admired her drive. When she decided to start up the micropress, I was lucky enough to be one of the artists she thought of promoting! We have a similar view of the kind of books we want to see published, and I hope that we can make it happen. I know you’re at SCAD right now. What are you studying? I’m in the Graduate Sequential Art program at SCAD. Which basically means I’m at a place that takes comics as a career very seriously! So just to close, what’s your pitch for the book? 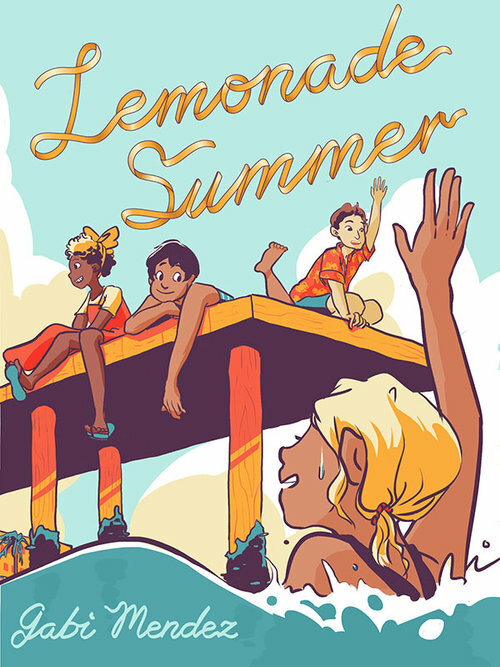 Lemonade Summer is a book for all the LGBTQ kids who never saw themselves in media growing up, for their friends or parents who want to understand them better, or for anyone who just enjoys feel-good all-ages stories. The book itself promises to be really cute, with each story a different color and lots of fun extras like postcards and wallpapers, and that’s just for the $20 tier! This book is a labor of love, made with the hard work and extras by some really cool creators (Cris Valles’ music for the top tier is the coolest thing). If we succeed, not only will the backers receive their books, but they’ll go to libraries and youth centers so that these stories can be accessible to kids who need representation most. The kickstarter campaign for “Lemonade Summer” runs through April 6th. More information about the book can be found HERE.